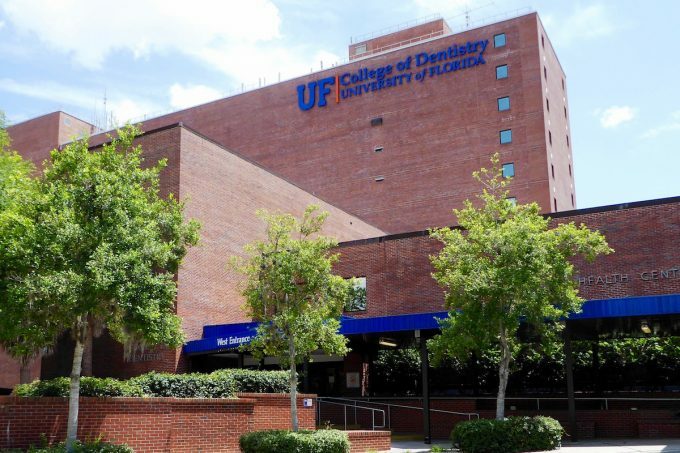 Established in 1972, the University of Florida College of Dentistry is the only publicly-funded dental school in the state and ranks as a national leader in dental education, research and community service. The college is housed in the Dental Sciences Building located on the UF Academic Health Center campus. The college educates the state’s future dentists and dental specialists through 12 degree and certificate programs. Each year we admit a new class of 93 D.M.D. students who are among the top pre-dental students in the nation. Our students and faculty participate in interdisciplinary learning and research that benefits the college and its patient community, resulting in a well-rounded curriculum that produces dentists skillful in the art and science of dentistry.